For the past few years (2013) (2014) (2015) (2016),I have put out a blog post with financial breakdowns of my fringe festival experiences. With draws for Vancouver and Victoria fringe festivals coming up, I figure it is long overdue for me to write my annual Fringe Financials post for 2017! In 2017, I decided to go ambitious with my new project, Hullaboo and The End of Everything. I had a costume designer friend help me create a custom look for Hullaboo. I wrote a TWO PERSON show (twice my regular number of people), knowing that it would also double my transportation costs. I booked a photoshoot just for this show. I had a puppet-maker friend help me out. The challenge for 2017 was going to be making a very professional-looking show. In reality, the challenge ended up being that AND finding a new co-start with less than two weeks to go when the original actor got a long-term, paying contract elsewhere (which I totally understand and was okay with versus the uncertainty of profit-share fringing!). So how did our 4.5/5 star-reviewed show do? For summer of 2017, I applied for seven lottery/first-come-first-serve draws: Saskatoon Fringe (first-come-first serve, put on waitlist, later got in), the CAFF lottery (did not win), Winnipeg Fringe (did not win), Edmonton Fringe (did not win), Calgary Fringe (did not win), Vancouver Fringe (did not win), Victoria Fringe (did not win). So, I went 1 / 7. – Lost income from not working dayjobs. Ooof! That’s a significant amount for a guy who doesn’t earn all that much. Needless to say, that profit share with Katie didn’t really work out. We still had a fun time, though. BUT ANDREW, YOU GOT A GREAT 4.5 STAR REVIEW! Yes, yes I did. Unfortunately, they never printed the review in their print paper – it was only online, if you scrolled down a bunch. They didn’t even include it in their ‘best of fringe’ feature where they reprinted reviews, even though that feature included a large number of shows with worse review scores. Alas. And Saskatoon is a ‘reads the paper’ kind of town. That’s my guess as to why so few people saw the show. But I really don’t know. 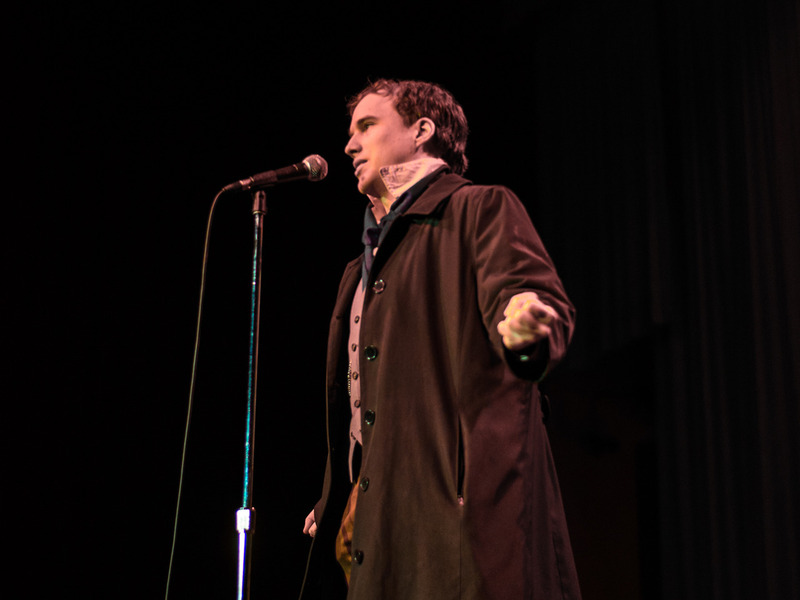 I also performed in a Geekenders show (Slumber Here) at Vancouver Fringe, but it did not make any money. Which was to be expected, as we had to hire a live donkey for the show! Which doesn’t seem as bad. What do you think? There are so many things that have happened in the past month which deserve their own full blog post write-ups, but as is evident on my front page here, I just haven’t been able to squirrel away enough time and mental energy to do them justice. SO, I figure, why not give a brief summary of the amazingness that has been the past month of my life, and ask you what you would like me to expand upon! – One of the last words of advice our dear Floyd Collins director, Peter Jorgensen, gave us, was to adopt the philosophy of ‘instant forgiveness’. If something goes wrong onstage, AND THINGS WILL GO WRONG ONSTAGE, instant forgiveness, move on with the show. This is far from the first time I’ve heard these words, but it is a piece of advice I really do need to continue working at taking to heart. – Balancing momentary opportunities to work in my career field (such as this amazing 2.5 month contract with Floyd Collins!) with stringing along dayjob employers with the odd shift here and there, whenever I can, so that I can still pay rent when the contract ends. – Working with people who have found a way to drop their day-jobs and do this full-time. How they live. How they’re not necessarily as dayjob-free as I first assumed. – Our culture’s unhealthy phobia surrounding talking about our salaries and what we make, where. 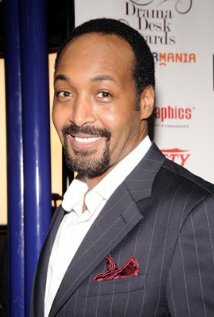 – Original RENT cast member Jesse L. Martin came to see Floyd Collins. Yep. What it means to me to get seen by a celebrity, and the strangeness of fandom celebrity worship. – Burlesque audiences are perhaps the best audiences. I mean, I had just been performing in an amazing musical for three weeks with a stunning amount of talent onstage, but the sheer energy and boisterousness of those three hundred people in the Rio, all loudly cheering and whooping and loving life, the feeling off all that delight just shocking joy into my system as I stood onstage, there… Wow. That is somethin’ else. – What am I willing to do onstage, and what am I not willing to do? – Fringe festival preparations for this summer, or, How I am managing to make the exact same mistakes and good choices as last year. – How does someone write a show called ‘The Most Honest Man In The World’? Has Andrew developed an ego? – I am consistently surprised at how clearly I regress as a person when in a state of desperately-needing-sleep. It’s almost like it’s a direct regression through the years — I start feeling emotional pangs for old flames, take on old physical quirks like holding one arm behind my back… there may be more truth than I know to the old adage that we are everyone we once were. – I fly somewhere, and promptly am sick. Just like what happened last year with London, Ontario. What’s up with that? – Billeting. What it means, and my experiences staying with people volunteering their homes, across the country. – And finally, this is a thing that happened: http://www.tift.ca/floyd-collins-goes-ahead-without-sets-costumes-or-props-press-release-april-7-2014/ . Essentially, a moving company, Midland Van Lines, picked up our set and costumes and promised us a delivery time of 5-7 days to get those items from Vancouver to Barrie, Ontario, in time for our second leg of our tour. Those items were not delivered, and now we are reblocking the show in a fashion that really is quite reminiscent to the old SATCo black box theatre days as a student at UVic. The show must go on! So aye, there’s a good summary of what I’ve been up to, this past month. Back into tech in an our or so. Anything you’d like me to expand on in a full post? Today’s the day it all felt normal, the planning for the next step on the strip, for the next place, deciding how to say goodbyes and to whom. Who to connect with online to keep a presence in some distant corner of their heart or mind. A continuation of a cycle of coming and going, beginnings and endings held so close together so as to almost be the same thing, life a series of events instead of an ongoing flow of chapters. Life touring alone with the Fringe is short and lovely, because you need to pounce on any love that’s available and seize it for now, because tomorrow is too close for planning.